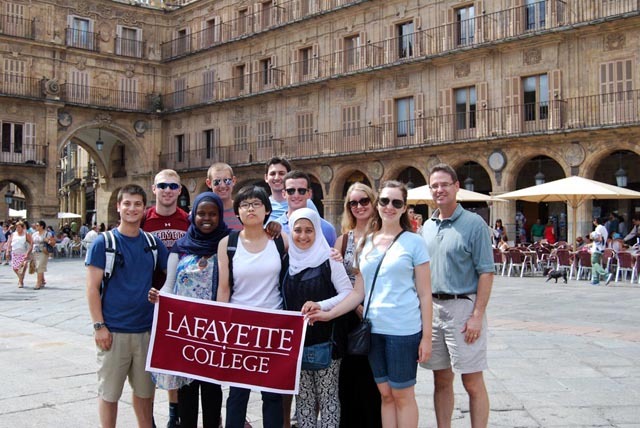 Studying engineering often precludes students at many U.S. colleges and universities from studying abroad, but not at Lafayette, a national leader in the field, where semester-long programs to Spain and Germany offer the best of both worlds. 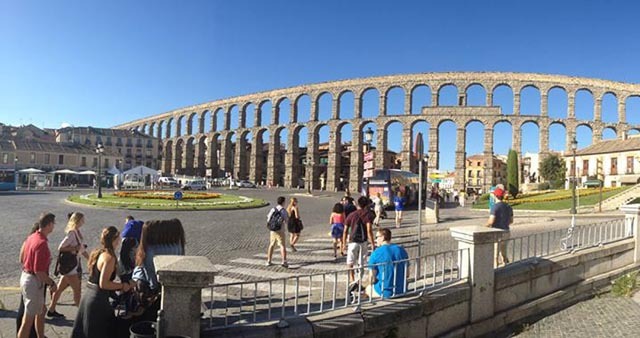 “An engineer’s schedule is packed, and there’s not a lot of space for additional classes, so it’s particularly difficult to find study abroad programs for students in engineering majors,” says Ethan Berkove, professor of mathematics, who led the semester in Madrid, Spain, this fall. The 12 sophomore engineering students enrolled in the program studied at Saint Louis University’s Madrid campus, where they took courses covering a range of topics. Mechanical engineering major Scott Oliveri ’17 (Greenlawn, N.Y.) took a physics course and a writing course on computers and society, as well as a Latin rhythms and dance class and a painting class. Engineering courses in statics and circuits were taught by faculty from Saint Louis. 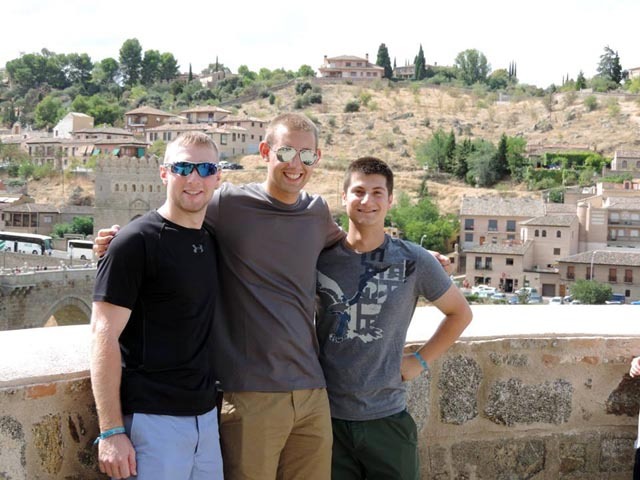 “As an engineer, I felt it was a once-in-a-lifetime chance to pursue my major while simultaneously experiencing the rich culture of Spain,” says Oliveri. 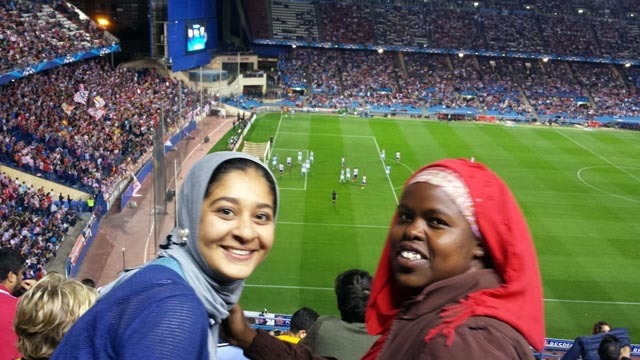 Students stayed with host families, a factor Zainab Hussein ’17 (Nairobi, Kenya), an electrical & computer engineering major, says enhanced the immersion experience. Berkove, who taught computers and society, accompanied students on trips arranged by the St. Louis faculty and staff to see a bull fight, as well as excursions to the Spanish Royal Mint, the aqueduct in Segovia, the Madrid airport for a behind-the-scenes tour, water treatment plants, and a newspaper printing press in Toulouse, France. They also went to an Atlético de Madrid soccer match. Lafayette has been designing study abroad programs for engineers for nearly 25 years. The specialized programs allow students to earn engineering credits while studying abroad so they don’t fall behind in their curricular requirements. 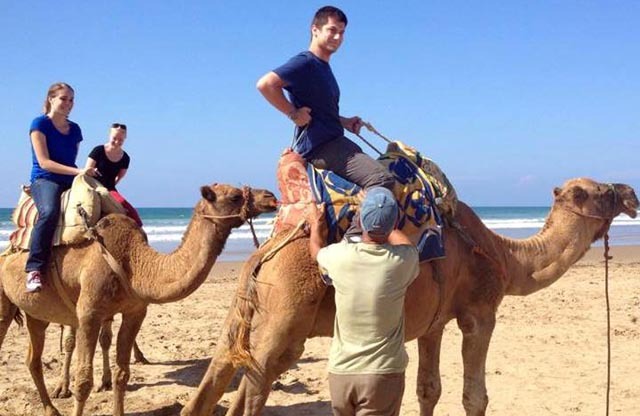 Students also experience real-world collaborations between engineering and liberal arts and gain an appreciation for other cultures, says Berkove, who organized a four-day excursion to Morocco where students rode camels. An amazing aspect of semester-long study abroad at Lafayette is all engineering students are eligible to participate. Students don’t need AP credit, financial aid applies to the programs, and the program is designed so that students still graduate in four years without the need to take additional courses to catch up. All of the instruction is in English (except those teaching a second language). These are transformational experiences for students. How wise, Lafayette! International experiences are invaluable in an education. This article is enough to encourage a high school student from California to consider Lafayette for engineering. Thank you! I wish we had this opportunity when I was a student.